Posted on April 25, 2014 by Jen C.
The Mister and I are moving up the Sound just a little bit to our new apartment this week! In case you missed it, our landlord decided to sell our apartment, and after some very confusing communications between us and the management company, we were able to get out of the lease a month early in order to secure our new digs. In case you’re unfamiliar with the rental market, it’s unheard of for a landlord or management company to agree to let you break the lease without penalty. We’re very grateful. You don’t have to pack as carefully for local moves. It’s true! Your stuff won’t get jostled around for HOURS in a moving van. Instead, it’s only for minutes. You don’t have to pack as well for local moves. Got a few extra boxes that didn’t fit in your moving van because you decided to not be very discerning and just throw stuff into boxes? That’s cool. You can always make an extra trip. Your costs are much cheaper than a cross-country move. Moving is literally (seriously, literally) one of the worst things to have to do. Moving will make you want to cry, scream, and then die. We’re no moving experts, even though we’ve moved apartments as many times as Two Men and Truck. However, we do offer these tips to those of you who also are forced to embark on this experience of living hell incredibly rewarding adventure while sticking to a budget of almost free. 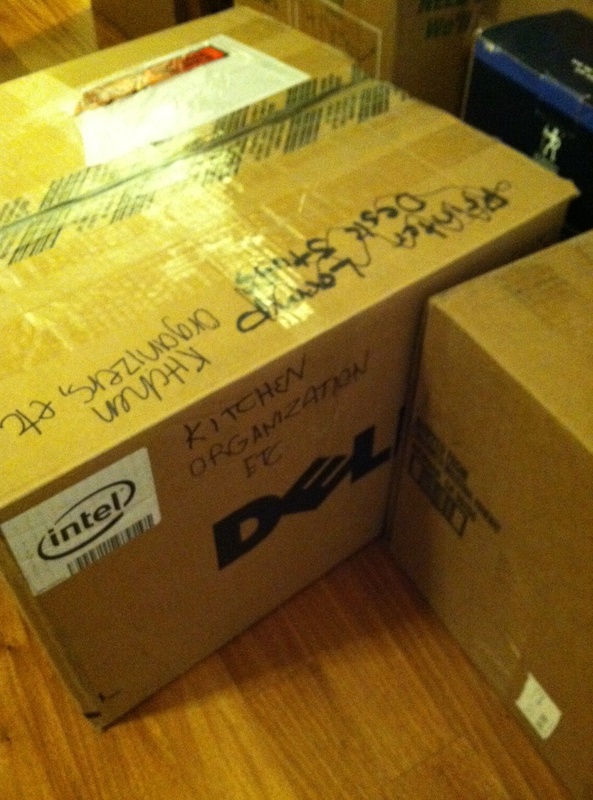 Steal boxes from your job (the ones they’re just going to throw away anyway). I recommend checking corporate policies, first, though. Certain businesses, like retailers, can be weird about it. Check out this Dell box that a computer I didn’t buy came in! Also, this puppy is so sturdy, it’s been used for THREE moves. 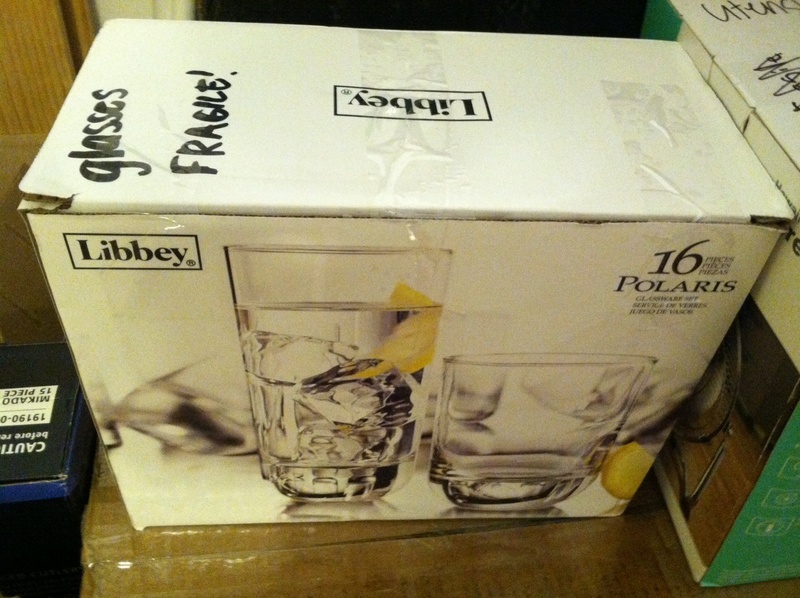 The box your drinking glasses came in is your best friend. Use your underbed storage boxes (if you have them) to pack up breakable items, or items that need to stay flat. I pack things like ceramic trays and baking dishes in mine. 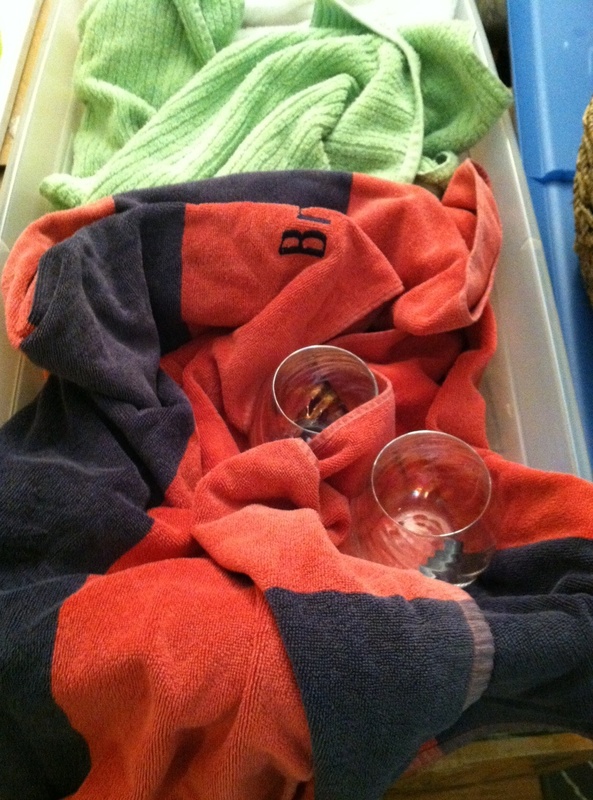 Use towels and bedsheets to wrap up your breakables. These can be used in your underbed storage boxes, or in a regular ol’ cardboard number. This saves you money on bubble wrap, which is freakishly expensive. Underbed box + towels for cushion = arriving intact! Doing it yourself, via a company like UHaul or Penske, will always be way cheaper than hiring a moving company, regardless of what they tell you on the phone when they give you an estimate, site-unseen. Recruit helpers. Pay for their gas, and feed them a delicious lunch and/or dinner. What tips do you have for moving on a budget? Share them in the comments section!